Colour coded black, single core PVC thin wall automotive cable, 16.5A, (32 Strand 0.20mm), to ISO 06722-4. 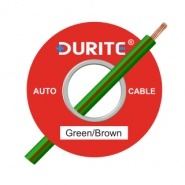 Colour coded green-brown, single core PVC thin wall automotive cable, 16.5A, (32 strand 0.20mm), to ISO 06722-4. Colour coded yellow-blue, single core PVC thin wall automotive cable, 16.5A, (32 strand 0.20mm), to ISO 06722-4. Help refine your electrical cable search by selecting the amperage and colours required using the selector on the left. 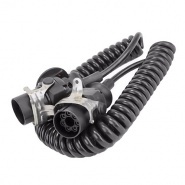 You can find more vehicle wiring solutions by selecting the 'Auto Electrical Main' tab on the top navigation bar and selecting automotive cable and fixings. 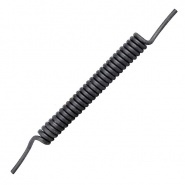 10 Core retractable cable, black hytrel sheath, 3.5M maximum working length, 260mm by 85mm closed coil. Retractable cable, 2.45M maximum working length, 2 x 24, 0.20mm, PVC insulated, sheathed in black polyethylene, rated 6A at 12V. 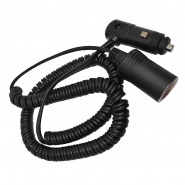 Retractable cable, 2.45M maximum working length, with standard cigarette lighter plug and socket, rated 5A at 12V for continuous use. 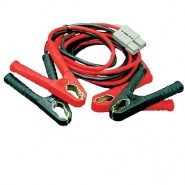 Durite 3M maximum working length 80A retractable extention cables. 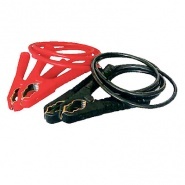 80A retractable cable in a black rubber sheath. 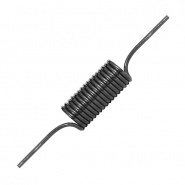 5 Core retractable cable, black rubber sheath, 6M maximum working length, 1200mm x 35mm closed coil. 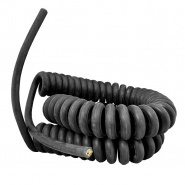 5 Core retractable cable, black rubber sheath, 3M maximum working length, 600mm by 35mm closed coil. 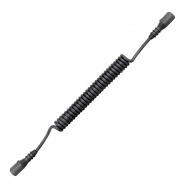 7 Core retractable cable, black hytrel sheath, 4.5M maximum working length, 285mm by 90mm closed coil. 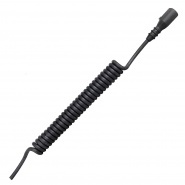 7 Core retractable cable, black hytrel sheath, 3.5M maximum working length, 285mm by 90mm closed coil. 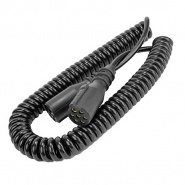 Durite 7 core retractable electric cable, 3M maximum working length with 2 x EBS sockets. 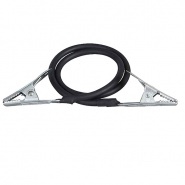 Durite 7 core retractable electric cable, 4M maximum working length with 2 x EBS sockets. 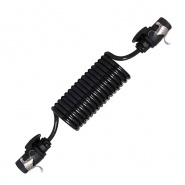 7 Core retractable cable, black rubber sheath, 6.6M maximum working length, 1080mm x 45mm closed coil. 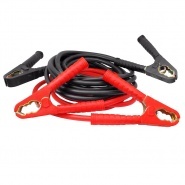 7 Core retractable cable, black rubber sheath, 3M maximum working length, 600mm by 35mm closed coil. 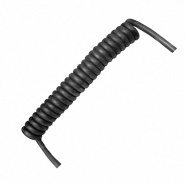 7 Core retractable cable, black rubber sheath, 3M maximum working length, 450mm x 55mm closed coil. 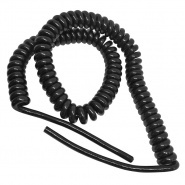 7 Core retractable cable, black rubber sheath, 3M maximum working length, 450mm x 55mm closed coil, with 2 x waterproof socket. 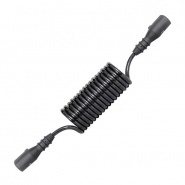 7 Core retractable cable, black hytrel sheath, 3M maximum working length, 200mm x 85mm closed coil, with 2 waterproof socket. 7 Core retractable cable, green hytrel sheath, 3M maximum working length, 200mm x 85mm closed coil. 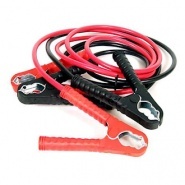 7 Core retractable cable, black rubber sheath, 3M maximum working length, 450mm x 55mm closed coil, with 2 waterproof sockets. 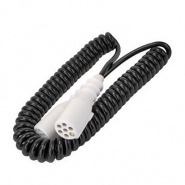 Durite 7 core retractable electric cable, 3M maximum working length with 2 x 24N sockets. 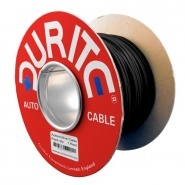 Durite 7 core retractable electric cable, 4M maximum working length with 2 x 24N sockets. 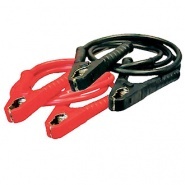 Durite 7 core retractable electric cable, 4.5M maximum working length with 2 x 24N sockets. 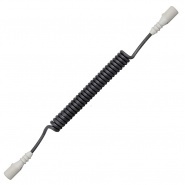 Durite 7 core retractable electric cable, 3M maximum working length with 2 x 24S sockets. 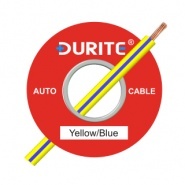 Durite 7 core retractable electric cable, 4M maximum working length with 2 x 24S sockets.